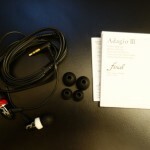 First of all I would like to thank Mark from KS Distribution for sending me out the Final Adagio III for review. The Adagio III can be found on AmazonUK for £50 and on AmazonUSA for $82. With that out of the way let’s get to it and see if it really is the “Final” design/audio quality that the brand intends to deliver! The packaging and accessories were very disappointing. I know the earphones are only £50, but I still expect a little more than just a S, M, L set of silicone tips and a manual. Earphones that are £10 even have a better set of accessories than this. I feel that Final have really ignored consumers here, there simply isn’t enough included for me to be happy about a £50 purchase. There should at least be a wider selections of tips, a shirt clip and most importantly a small carrying case. The overall impression I had at the start was poor and didn’t give a great impression. 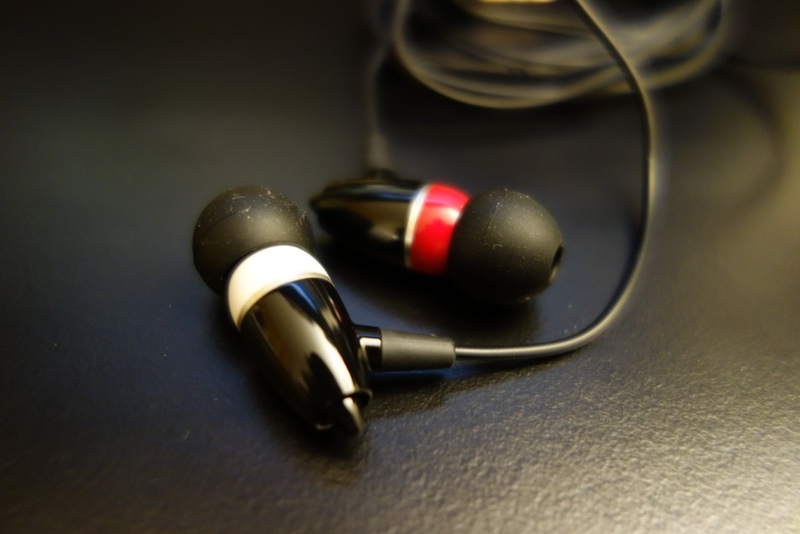 The build quality of the earphones is good, although not flawless. 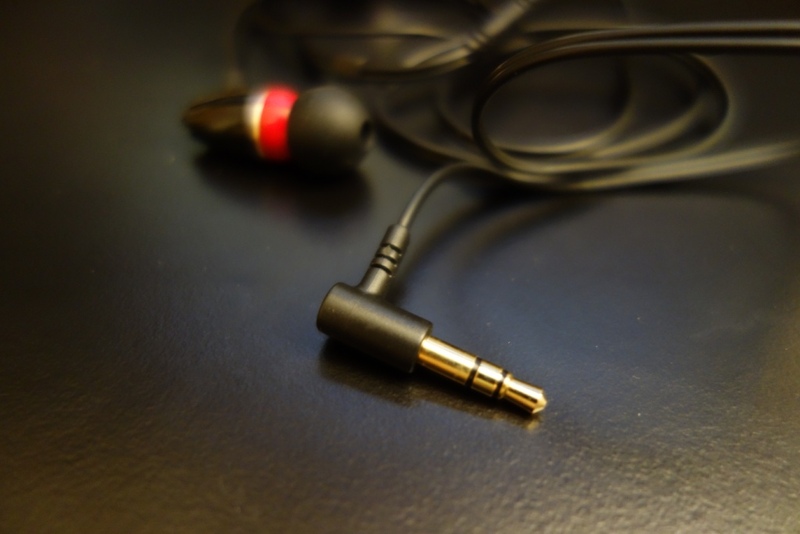 The earphones are terminated by a right-angled gold plated 3.5mm jack. The cable itself is quite thin, which is great in terms of cable noise, as it produces minimal microphonics. 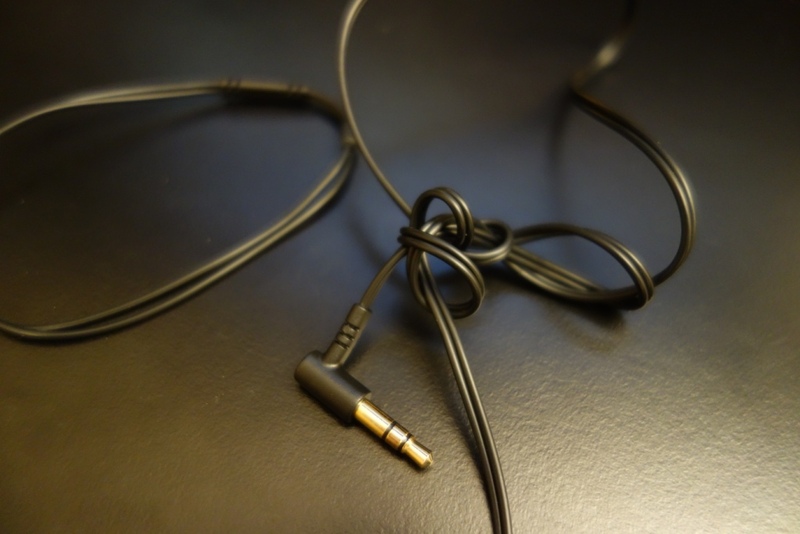 However the design of the cable means that it does become tangled quite easily, which was an annoyance when putting it in my pocket whilst being on the go. Speaking about the cable it becomes even thinner at the Y-split, where it is divided into the left and right channels. The thing I love most about the build quality, is the design of the left and right indicator. It is indicated, by no matter which version you get with separate colours. This is excellent as it allows you to quickly know which side is left or right. In the set I had, left was indicated by white and red with right. 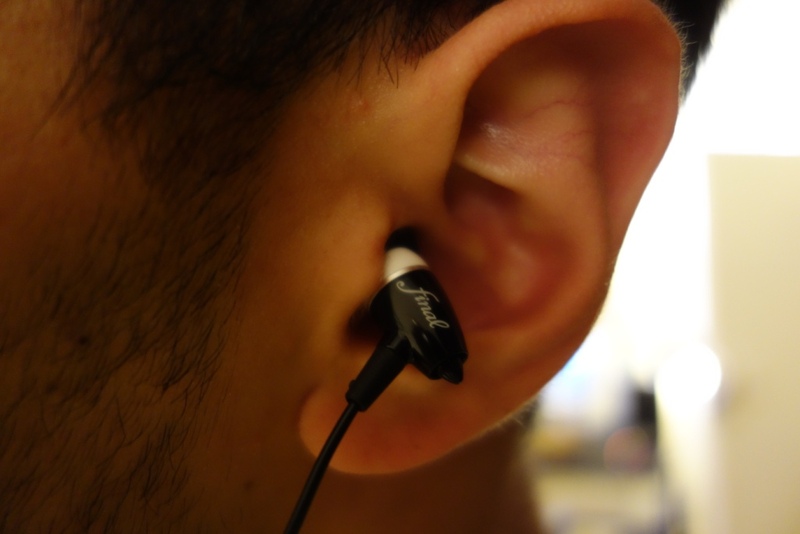 There is of course a “L” and “R” symbol written to denote the sides too on the strain relief of the earphones. Moving on, we have the housing of the earphones, which I think is well done – it is made out of plastic and coated with a slight glossy finish, to give it a nice shine. 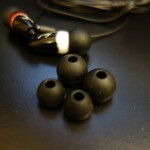 The plastic itself seems strong enough to withstand knocks and falls, whilst also being very lightweight, which is great in terms of the comfort you have when these are in-ear. Overall the build quality is good, but doesn’t really come out as being anything special. The fact the cable got easily tangled was a little bit of an annoyance, but other than that, I love the design. The looks of the earphones is very well thought-through. It has a futuristic-spaceship type look, which is really pleasant to look at. 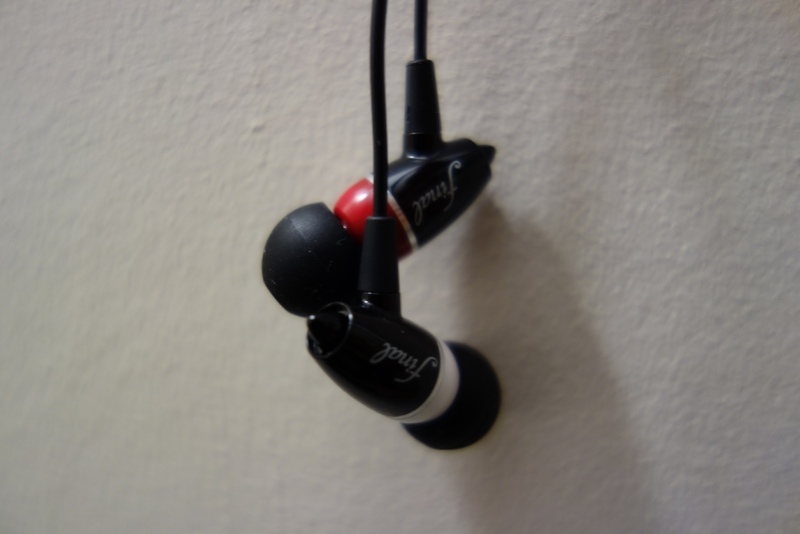 The glossy finish of the earphones also gives it a nice appeal to it. 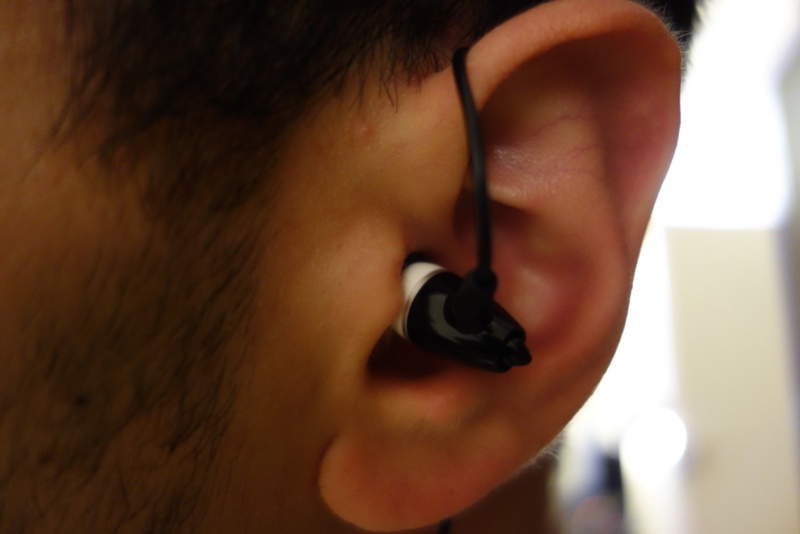 Whilst in-ear they do stick out a little bit, due to their design it’s a nice look they give-off. 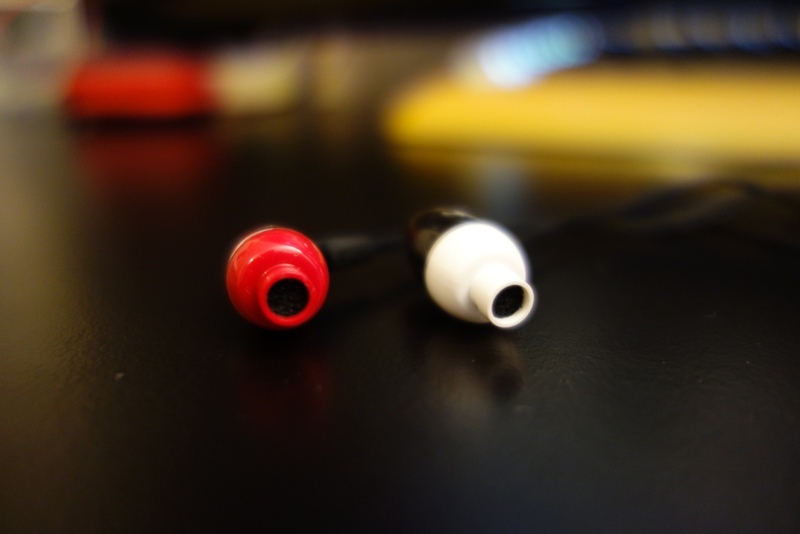 It’s clear there was an emphasis placed on design and looks, as it comes out from the housing of the earphones. I found the isolation of the earphones to be below average. 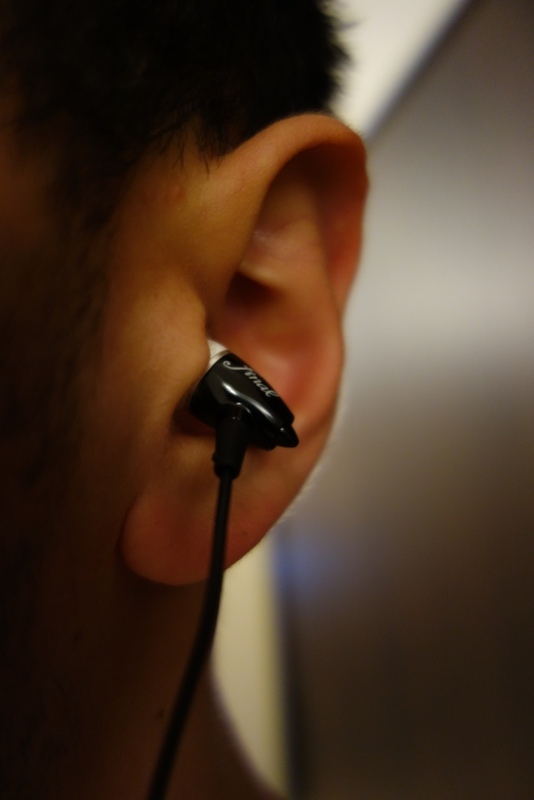 Due to their relatively small nature, the earphones didn’t block out that much background noise, meaning a lot of external noise did filter through with ease – no matter which of the 3 sized tips I used, there was a lack of isolation. This is a shame, but could be changed if there was a set of foam tips included. The comfort of the earphones was a little hit and miss for me. They are lightweight earphones which do sit in your ears, be it with a straight down cable or over-the-ear (as it can be worn both ways). The problem I found with comfort was the design of the tips, which were just overly large and bulb-esk. It meant that over time I felt the earphones slowly slipping out. This wouldn’t have been a problem with other tips, if they had been included – however as there was no extra tips included – the comfort wasn’t all that great. I should note I did have a good seal with the tips, just that over time, especially if I went running, the earphones would slowly slip out. 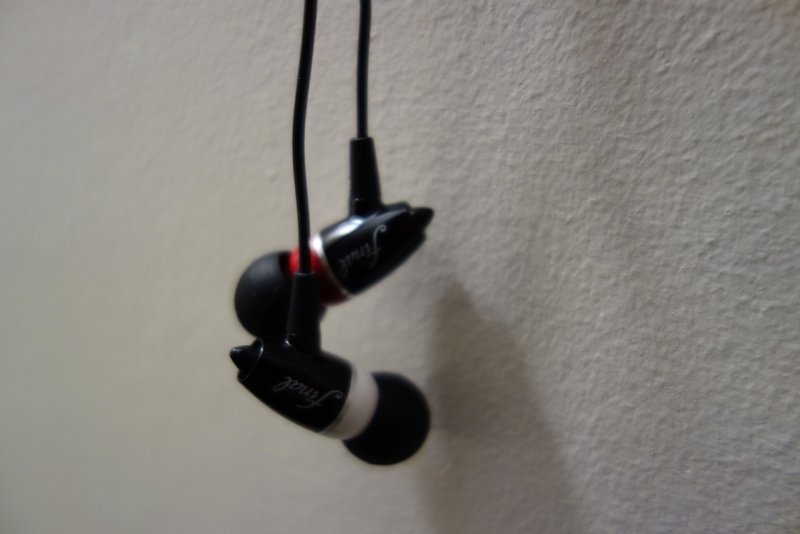 Now the sound quality was something I was anticipating in being good – as despite the lack of accessories and a not-so-impressive overall first impression, I was hoping the sound quality would blow me away. Unfortunately, this was anything but the case – the sound was woeful and was really disappointing. So much so that a set of £35 SoundMAGIC E10 earphones sounded better than these. Meaning not only a cheaper earphone sounded better, but its overall package was much better than what was included with the Final Adagio III! In terms of its given price, the earphones were outclassed by earphones that were cheaper and my Fischer Audio Consonance that were once £50 when I reviewed them, completely blew them out the water. The lows were very pronounced, with the mid-bass being the main talking point. The mid-bass of the Final Adagio III was overwhelming and often lacked control. I felt the mid-bass slam was really powerful, which is great for bass-heads, but the lack of control left much to be desired. The sub-bass was also very present, which was nice to hear, but yet again didn’t have that finesse to it, where it was cut off. Due to an overly done mid-bass with little control, the mids were greatly affected and were very pushed back. I felt there was a lack of coherence in the mid-range, where I would have liked to see the Final Adagio III be more present. The highs also were slightly disappointing, where they were rolled off and did lack that little extra sparkle that you would expect. With the highs being rolled off and the mids having to be pushed back, the overall sound signature was V-shaped. This isn’t to be that surprising when it comes to earphones in the under £50 category, however this was more than anticipated. The soundstage on the other hand was fantastic, which was odd as the rest of the presentation was rather poor. The soundstage provided a nice instrument separation and reasonably well-done depth to the music. However, the width is what let it down and that was evidentially present due to its narrow housing design. I was also impressed with its decay too, where it gave off a nice sound signature to the earphones. Overall, the Final Adagio III were disappointing, from the opening impressions to the final burned-in sound quality. There just wasn’t enough for me to be that impressed about. I think the design of the earphones is well thought out, but at its given price, I was expecting more than just looks. I wanted better sound quality, a better cable and a better set of accessories to have been included. I just can’t see myself ever recommending them, due to the fact that there are many other better earphones out there at its price range or even at a cheaper price. 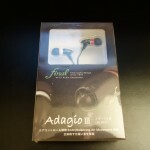 This entry was posted in Audio Reviews and tagged Adagio, Adagio III, bass, Earphone, Earphones, Final, Final Adagio III, Review on August 8, 2015 by TotallydubbedHD.